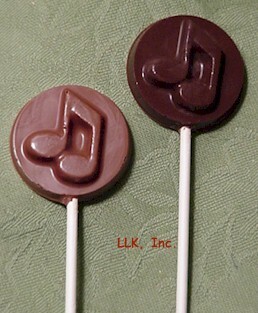 Music Note Lollipop - $2.25 ea. .9 ounce, poly bag, tied with ribbon. 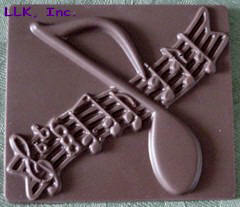 Treble Clef Lollipop - $1.75 ea. .7 ounce, poly bag, tied with ribbon. Round Music Note Lollipop - $2.00 ea. 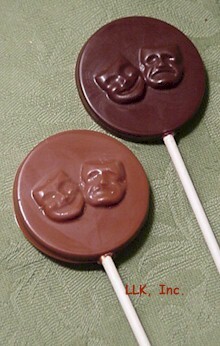 Theatrical Lollipops - $2.50 ea. 1 Ounce, poly bag, tied with ribbon. 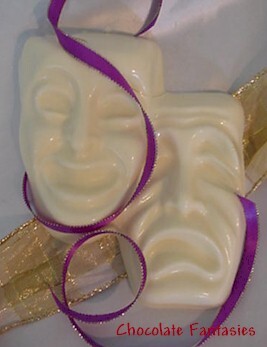 10 ounces - poly bag, tied with ribbon. 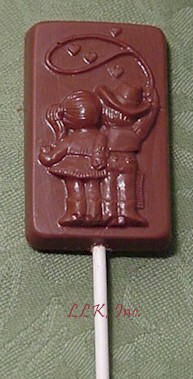 1/2 ounce ea., gift box, tied with ribbon. 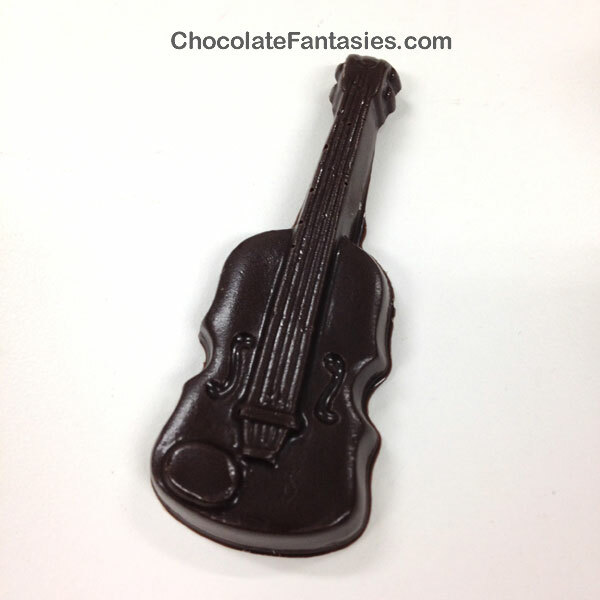 Guitar Lollipop - $2.50 ea. 1.2 ounce, poly bag, tied with ribbon.